Is it possible to have safer, cleaner rocket fuel? Home Energy Is it possible to have safer, cleaner rocket fuel? 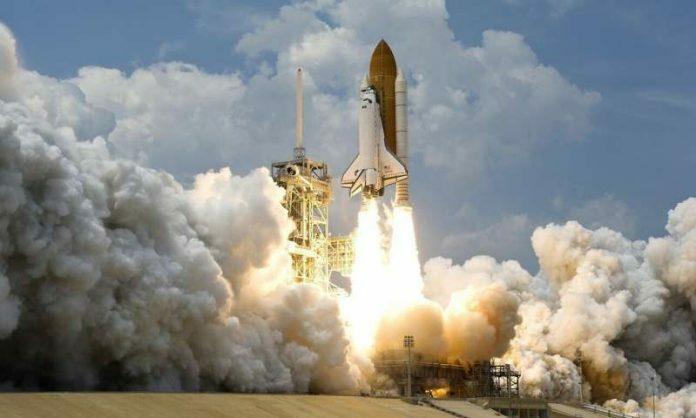 A new study shows that it is possible to develop much cleaner and safer rocket fuel than the hypergolic fuels commonly used today. The study was done by researchers from McGill University. Space stations and satellites that remain in orbit for a long time have to rely on hypergols, which are fuels that will immediately ignite in the presence of an oxidizer. The fuels mainly depend on hydrazine, which is a highly toxic and dangerously unstable chemical compound. The compound is made up of a combination of nitrogen and hydrogen atoms. People who work with it need to wear special suits as though they were preparing for space travel themselves. However, every year around 12,000 tons of hydrazine fuels are released into the atmosphere by the aerospace industry. According to the team, the new fuels use simple chemical “triggers” to unlock the energy of one of the hottest new materials. The new materials are a class of porous solids known as metal-organic frameworks or MOFs. They are made up of clusters of metal ions and an organic molecule called a linker. The new fuels are not only much safer than those currently in use, but they also respond or combust very quickly. The current study is still in the early stages of working with these materials in the lab, but these results open up the possibility of developing a class of new, clean and highly tunable hypergolic fuels. The team in the future will try to commercialize this technology by working with McGill and Acsynam an existing spin-off company from his laboratory. One author is Tomislav Friščić. He is a professor in the Chemistry Department at McGill.